Online Poker Update is the site for everyday, regular Poker Players and Fantasy Sport Fanatics. We know that not everyone can play $5/10 poker, buy into a $530 Mega-Buck Poker Tournament or play $100 Daily Fantasy Football leagues. Most Online players stick to the lower limits, the 25c/50c type of play, the $11 to $25 buy-in tournaments. Most Fantasy players play $2 or $5 leagues. Sometimes even a nickel-dime game can be profitable–always keep this in mind. If playing Online Poker or Fantasy Sports for Real Money isn’t your cup of tea, we always show everything in the world of Free or micro limit play–even the totally Free Sites, and we’ll let you know exactly what we think of their features, prizes and software. This is our our MISSION, our FOCUS. We will try to give you all the latest information in the world of On-line Poker and Fantasy Sports from the point of view of The Average American Guy. I am part of the Beer drinking, fun-loving, hard working and fantasy sports and poker playing guys who want a chance to enjoy life and win a few bucks in the process. We just want to beat a poker table full of guys, win my fantasy league and take their money and prevent them from doing the same thing to me! 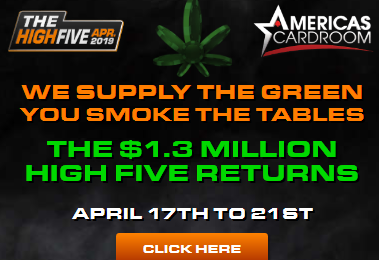 Here we will provide fast updates to all the On-line Poker News, Fantasy Sports News, Show you the best deals, best offers, information and promotions that you want to know, that you, the average Every Day American can actually use, that you can profit from. I really don’t care if some guy from Belgium lost a $200K heads-up match on Poker Stars yesterday or if Packer Joe lost Aaron Rodgers to a crippling injury, you won’t find anything like that here. I’m just going to show you where to play and where your money is best spent. I am a working man, so if there hasn’t been a update in a few day’s, just check us out later….I’ll have something posted you can use as soon as possible. As far as fantasy sports—-of course a guy like me plays them, in fact I have several championships from Baseball and Football Leagues with my buddies at work–I’ll send you pictures of my Bobble Head trophy’s if you want! So I know a little about the subject. I am as competitive as the next guy–in fact I am obsessive compulsive–I do not quit until I get what I want to achieve…….and I will take you with me on that journey! I just started playing the daily fantasy leagues (August of 2012), and honestly think they are the future of Fantasy Sports. Robert Alan right here at usalegalonlinepoker@gmail.com and let us know what you are thinking, what you want to know, and how I can help you?.